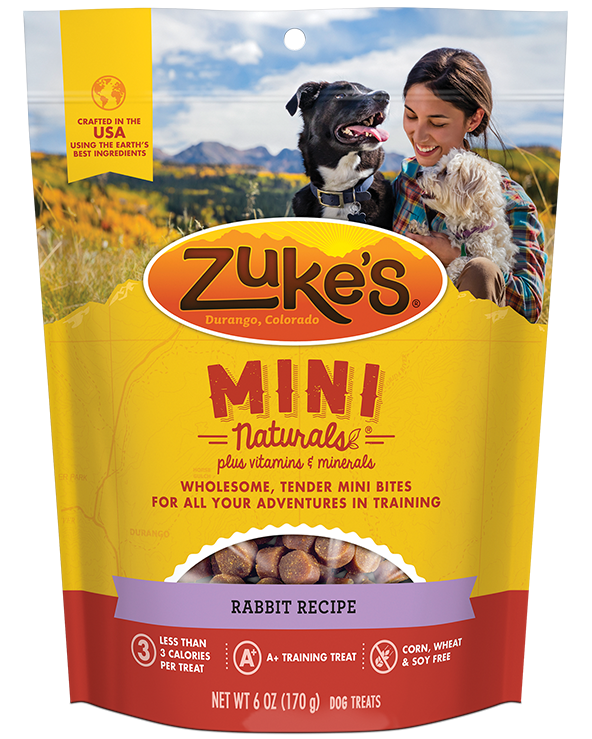 Zuke's Mini Naturals Rabbit Recipe Treats are made from the finest ingredients, including rabbit, ground barley, ground rice, malted barley, tapioca, cherries, turmeric, citric acid, mixed tocopherols, and rosemary extract. 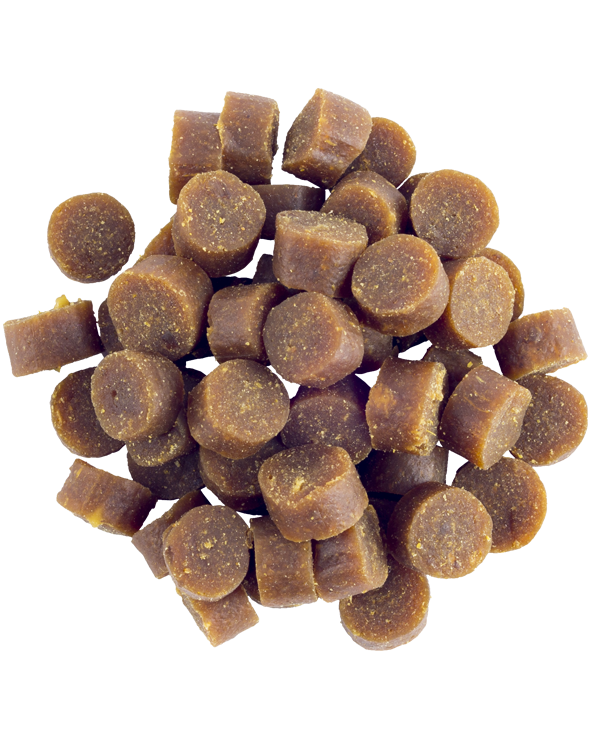 This delicious rabbit recipe treat is the perfect size for rewarding your dog for good behavior. 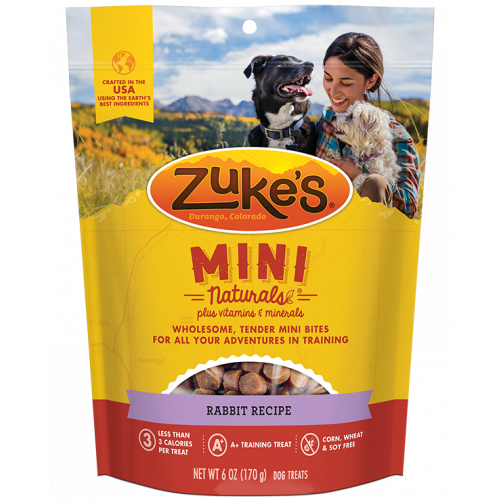 Zuke's Tender Rabbit Mini Bites help train your dog to sit, stay, roll over, and much more. With only 3 calories per treat, you can reward your pup with these tasty morsels while fueling their daily adventures. 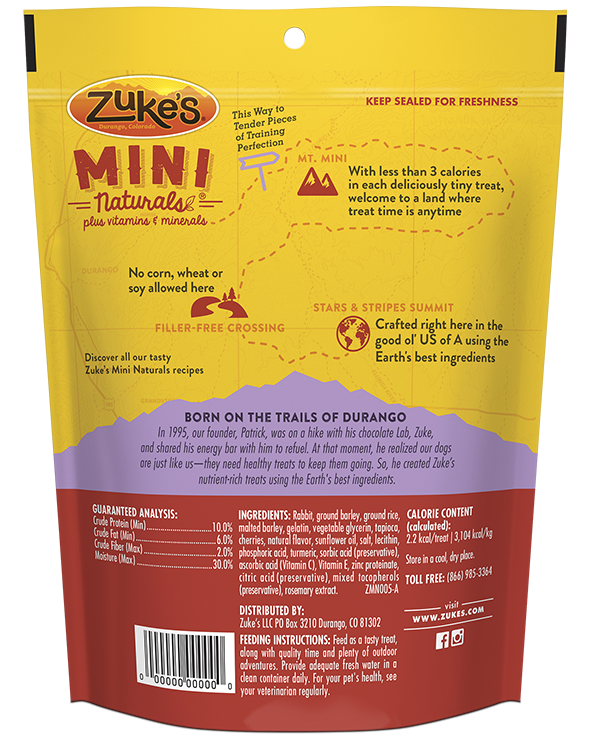 Zuke's Mini Naturals are available in a variety of flavors, such as Tasty Chicken and Roasted Pork.